Pictured (l-r): Lucja Zembrzuska (16), Megan Natta (18), Angel Douglas (17), Daniel Farrow (17), Neva Houston (17). 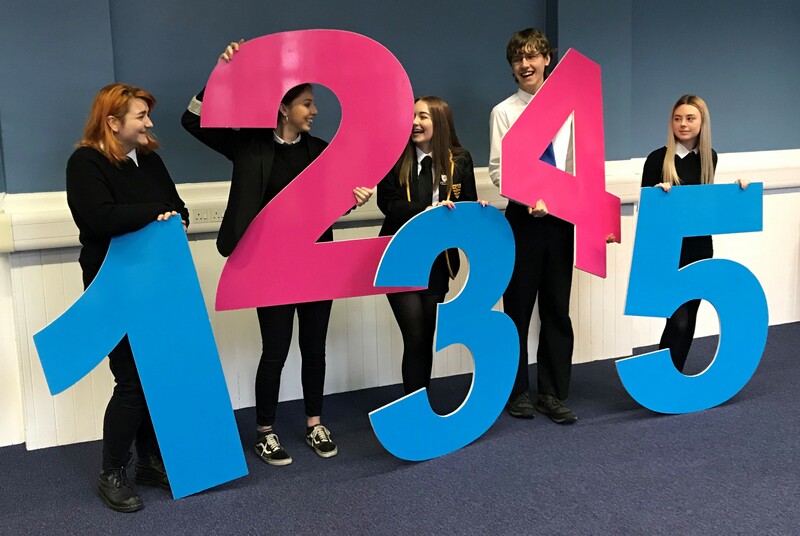 Fifth and sixth-years at Drummond Community High School, who are eligible to vote in local elections as they are aged over 16, helped demonstrate the single transferable vote (STV) system, which is used in local elections. However, turnout for by-elections has traditionally been low across the city, so voters are being encouraged to have their say to elect a councillor who will represent their views on matters affecting the Capital and their community. Returning Officer for Edinburgh, Andrew Kerr, said: “It’s great to see young people engaged in the Leith Walk by-election, which is set to elect a new councillor for one of the most densely-populated areas in the country. Drummond Community High School pupil Angel Douglas, 17, said: “Young people weren’t always allowed to vote in things like this so I think that it’s really important that they’re told that it’s their right to vote. Single transferable vote (STV) is often used in multi-member areas to ensure proportional representation. Voters must rank candidates in order of preference and can rank as many or few candidates as they like.